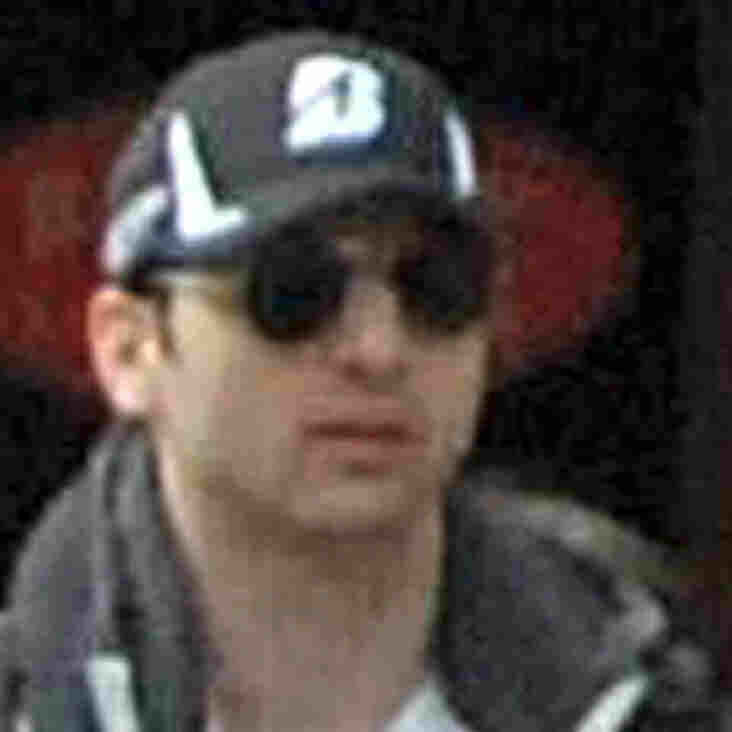 Reports: Bombing Suspect Died Of Gunshot Wounds, Blunt Trauma : The Two-Way Tamerlan Tsarnaev's death certificate says he suffered "gunshot wounds of torso and extremities" and "blunt trauma to [the] head and torso." Tamerlan Tsarnaev, whom the government says was the mastermind behind the twin bombings at the Boston Marathon that killed three people and wounded more than 250, died of gunshot wounds and blunt trauma. That's according to the Boston Herald, The Boston Globe and the AP, who report that Peter Stefan, the owner of a funeral home in Worcester, read details of the death certificate to reporters. "The injuries occurred after Tsarnaev was shot by police and then run over and dragged by a vehicle, according to the death certificate. It says Tsarnaev was pronounced dead at 1:35 a.m. on April 19 at Beth Israel Deaconess Medical Center. The certificate, bearing a seal, was dated April 25 and signed by Dr. Henry M. Nields, the state's chief medical examiner." Earlier today, The Boston Globe posted video of an interview with Stefan, who has been criticized for taking Tsarnaev's body. "All I'm doing is burying a guy," he said. "I'm not honoring a terrorist." Stefan explained that his big problem has been finding a cemetery that is willing to have Tsarnaev buried there. He said, so far he has "struck out," and he may end up having to ask the government for help in finding a place for Tsarnaev.